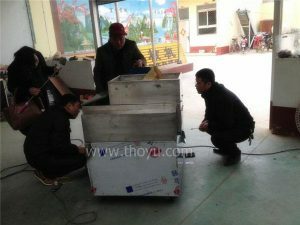 Garlic root cutting machine was sold to Azerbaijan from Thoyu. 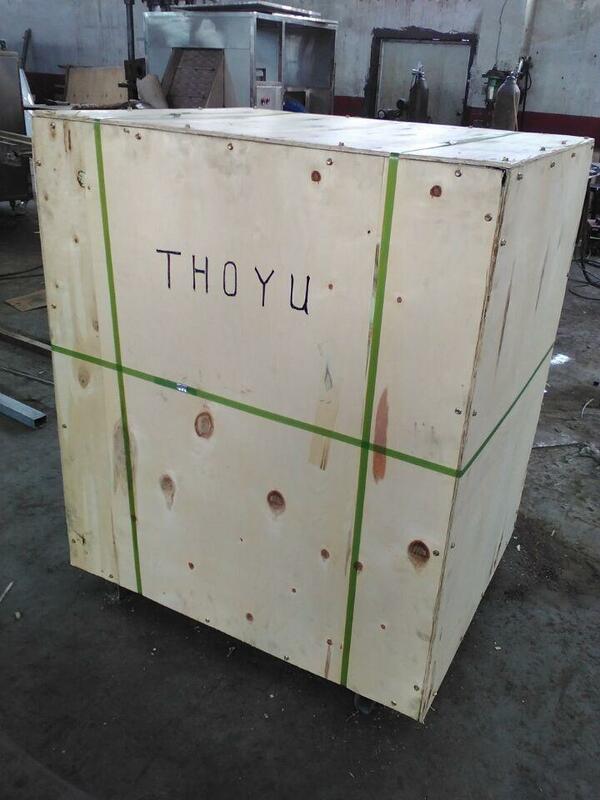 And Thoyu is the professional garlic machine manufacturer in China. 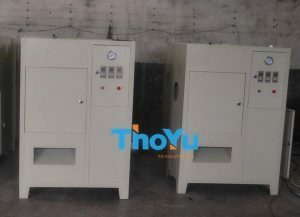 Our main products are garlic peeling machine, garlic sorting machine. 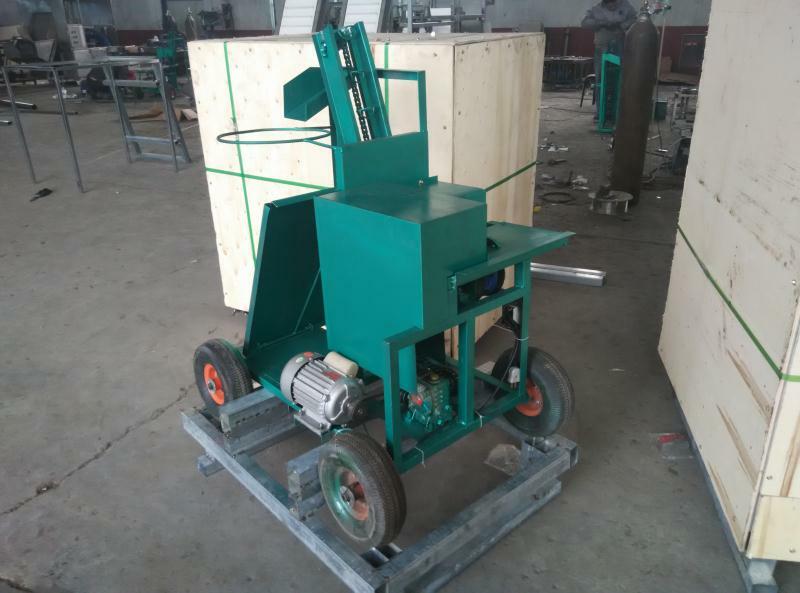 In April 2016, one Azerbaijan customer finalized the order for one set garlic root cutting machine. 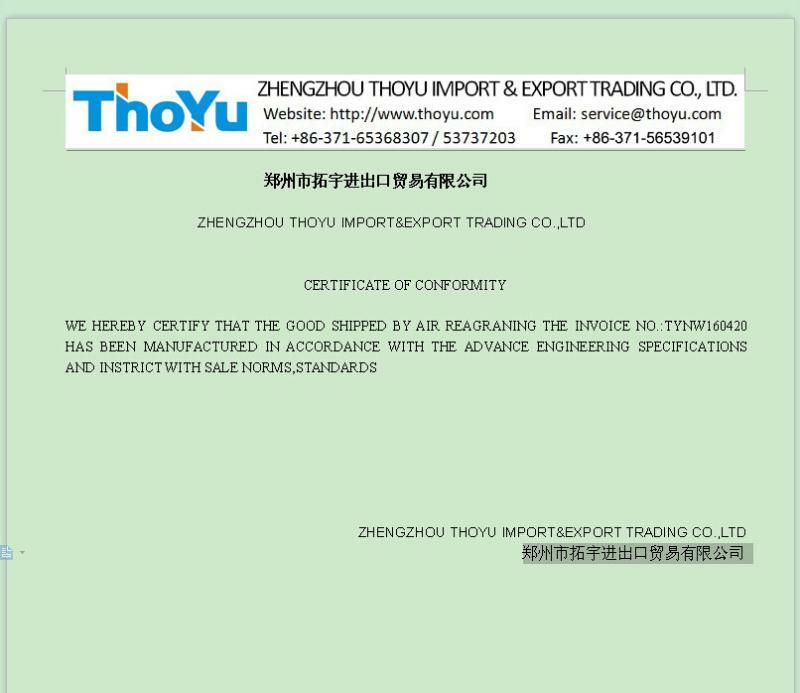 From telephone inquiries, and then he made the orders. 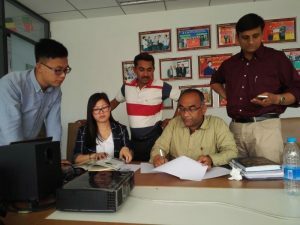 Finally the delivery completed within one week. 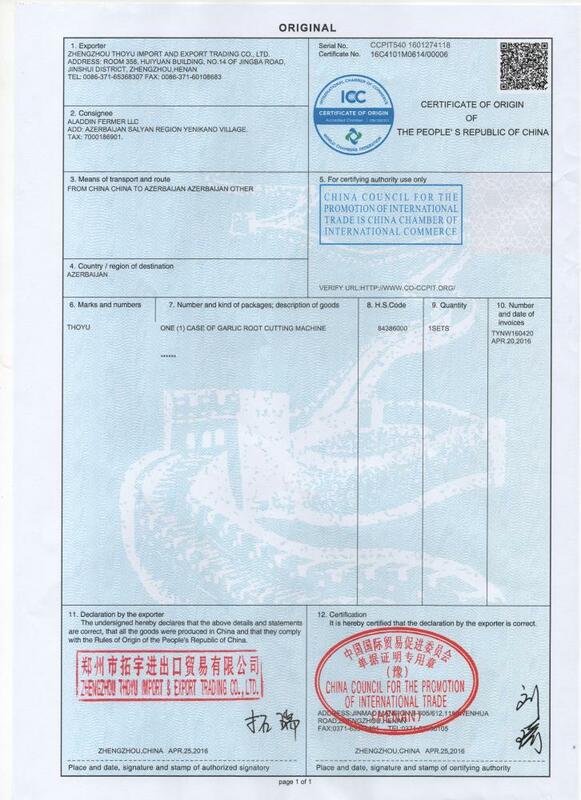 As our customer’s requirement, we provide Quality Certification, CO, Security declaration and several documents for custom clearance. The cooperation process is smoothly. 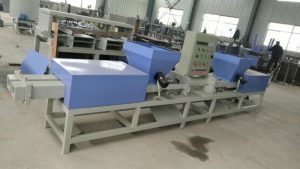 Our customer had received and used this machine, and he is satisfied with our machine. And then, we all look forward to making a deeper cooperation.